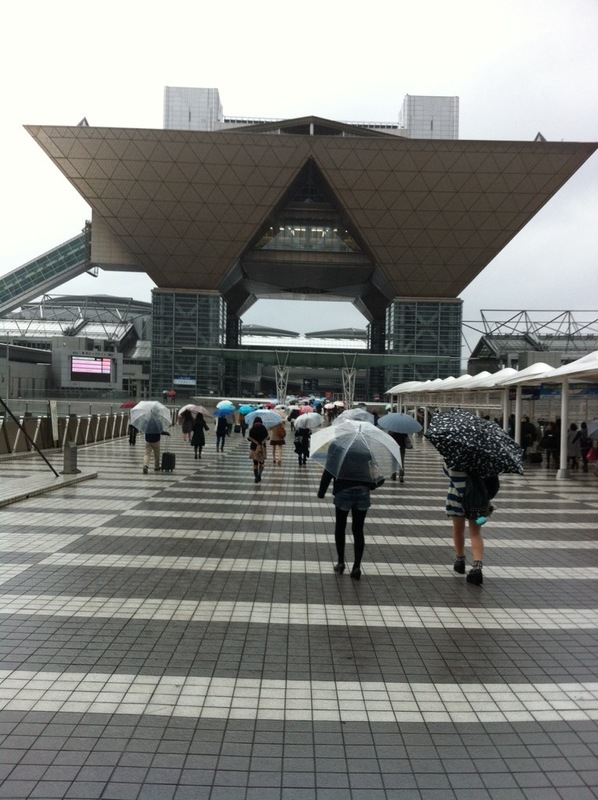 It was a rainy day on Sunday but that didn’t stop a mass of comic fans from collecting at Tokyo Big Site for Comitia 106 (and some other doujin festival it seems). What is Comitia? What is doujin? Awe snap! Guess I have a little explaining to do. What’s the difference between this and Comiket? Well, both sell doujinshi but Comitia is for selling original works only. No Sasuke Naruto slash stuff, sorry. Comiket is much bigger I think. I hear there’s a bunch of cosplay too (none at Comitia). The thing I don’t know is if there are original works here or if it’s all fan comics. Readers who’ve been there, help me out with this one. But the big thing that makes the fall Comitia special is that it’s the host of the Kaigai Manga Festa (International Comic Festival). I’m so excited that comics from other countries have become of interests enough to have an event like this. It’s only the second year they’ve had it, but it’s certainly growing in popularity. At first thought it would be nice to have a table in the international section. But it was a little more expensive and I… missed the deadline. So instead I signed up for a normal spot. This was my first time doing anything like this and really didn’t know what to expect. I kinda knew that sales wouldn’t be that great. Seems as if the average seller only sells about 2 books. This was my first time so I’ve yet to even build any credibility. I think overall I sold about 6 or seven items that day. Mostly my “A.C. Galaga: Tangents of Insanity” collection. I guess it was more appealing because of all the different stories. My first sale was a young girl who came up and quietly stood in front of my table. I was nervous. “could she really want to buy something?” I thought. Then I noticed that she was even more nervous than I was. She stuttered slightly as she said, “s-sumimasen… ano… h-haloween sutika setto o kudasai.” I replied politely in Japanese, handed her a set of stickers and a pin and thanked her for her purchase. Both our hands shook as we exchanged currency for goods. She thanked me and darted off. So I sold a few comics and had a blast. 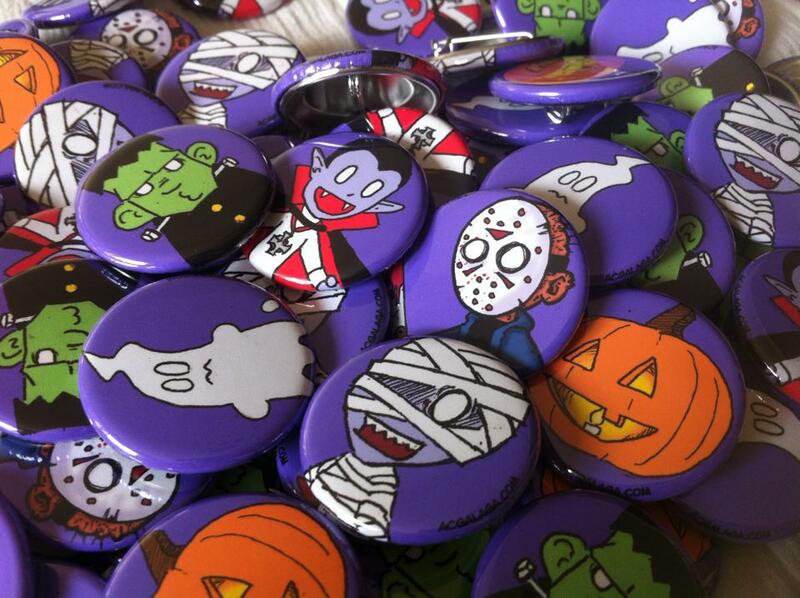 Hope to have a store online soon so I can sell them to any reader that might be interested. Well, here’s a pick of some of the loot I came back with. I totally gotta be more careful at the next convention. I want to help support my friends and fellow artists, but my pockets are bleeding now. Oh yeah, now that it’s getting colder, be sure to warm your hands and belly with a can of hot corn soup from the vending machine. Love that stuff!! *** Actually wrote this entry quite a while ago. This and that happened and I never got around to finishing it. Here it is, not quite as polished as I’d like cause I’d love to just get it out of the way. Here’s to 2014 having a ton more posts and comics!! Happy New Year!